Rebecca by Daphne du Maurier is one of my all-time favourite books, so I was a little anxious when The Secrets Between Us landed on the doormat. It’s theoretically based on du Maurier’s novel, but I couldn’t see how it could be even half as good as the original. I was surpised though – it has the same tone and creepy atmosphere as Rebecca while having enough unique twists to stand on its own two feet. A chance encounter: When Sarah meets dark, brooding Alex,she grasps his offer of a new life miles away from her own. They’ve both recently escaped broken relationships, and need to start again. Why not do it together? A perfect life: But when Sarah gets to the tiny village of Burrington Stoke, something doesn’t add up. Alex’s beautiful wife Genevieve was charming, talented, and adored by all who knew her. And apparently, she and Alex had a successful marriage complete with a gorgeous son, Jamie. Why would Genevieve walk out on her perfect life? And why has no one heard from her since she did so? A web of lies: Genevieve’s family and all her friends think that Alex knows more about her disappearance than he’s letting on. But Sarah’s fallen in love with him and just knows he couldn’t have anything to hide. Or could he? Nothing makes me happier than receiving a book from a publisher that I would never have picked up on my own. It’s a chance to broaden my horizons a little and discover some real treasures. The Secrets Between Us is the perfect example. Normally I tend to stay away from books that try and pretend that they’re actually an older, classic work, but Transworld Publishers offered this as part of their challenge and I thought I’d give it a go. The thing that impressed me most is that the prose actually flows very like Dpahne du Maurier’s, and that’s not an easy style to achieve. It’s very formal, somehow, and nobody describes a creepy atmosphere quite as well as she does. 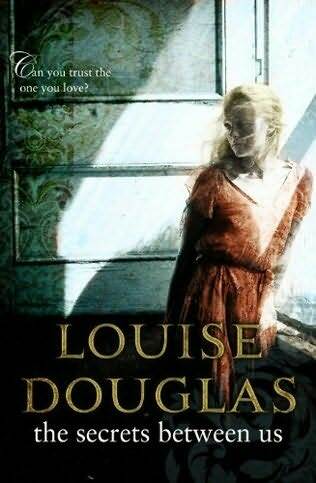 Ms. Douglas has actually managed to recreate that chilling feeling and Sarah, the main character, is very, very similar to the protagonist in Rebecca. Like I said before, this is anything but a straight rip-off of Rebecca from beginning to end. Although it still concerns a damaged woman who ends up with a controlling man who is hiding his wife’s past, the circumstances are completely different. Right from the beginning, the evidence tells you that it isn’t going to end in quite the same way. It also features a lot of minor characters while Rebecca primarily concerns a maximum of four people. The one thing that irritated me was the amount of stupid decisions that Sarah made. At times she even seemed vaguely deranged. I couldn’t help but think if she’d just got her act together and stood up for herself, everything would have gone a lot better for her. Her behaviour may acceptable in de Maurier’s time, but in this day and age it just makes me want to beat her with a sharp stick. I can’t decide whether it would be more enjoyable or not if you hadn’t read Rebecca first. I have (a good few times now) and I really liked this book, but I read another review by a blogger who suspected that she didn’t like it because she hadn’t read du Maurier’s version. The Secrets Between Us doesn’t reference it in any way though, so aside from spotting the similarities and differences, I wouldn’t have thought it would affect it much. Amusingly enough, my alphabetic ordering of my bookshelves means that it sits right next to Rebecca! I'm expecting this one through my letterbox any day now and am a tad apprehensive after reading your review. I had't realised it was so similar to Rebecca, which is one of my favourite books, so it will probably suffer in comparison. Oh well, I'll try and read i with an open mind!